Based on the Northern Gold Coast, Coomera Anglican College provides seamless education from Early Learning and Preparatory through to Year 12. 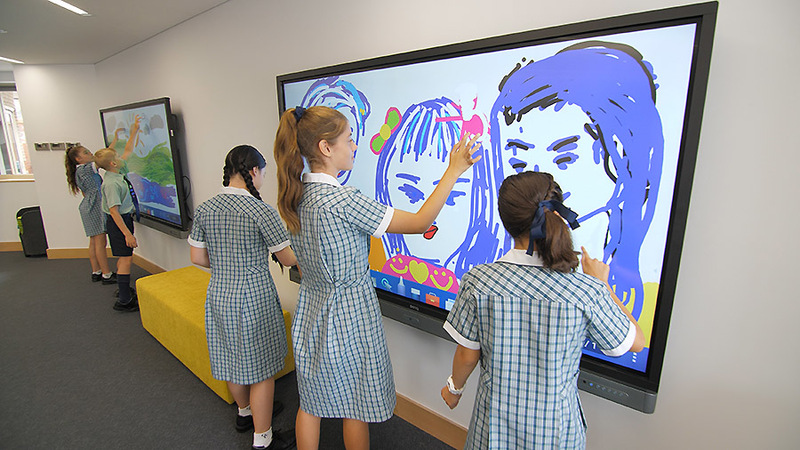 As one of the top private Christian schools in Queensland, the college is on the forefront of innovation and constantly striving to provide the highest level of education through extraordinary uses of technology. 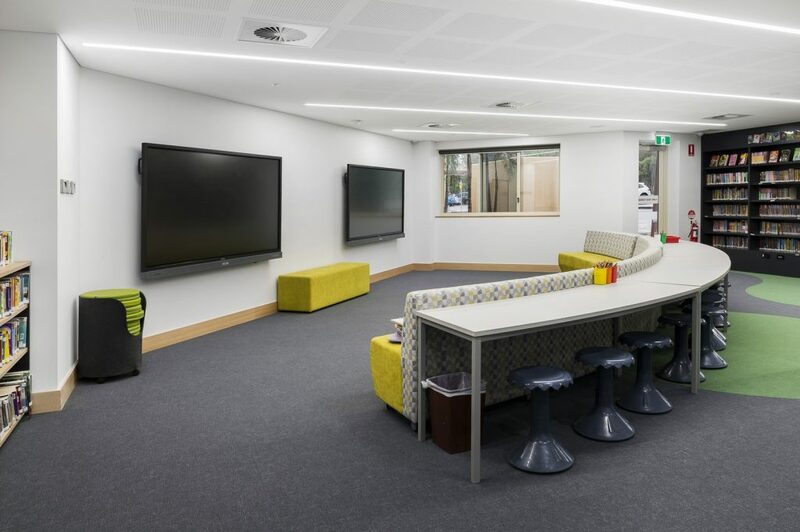 With the requirement for a new Learning Centre for the Primary School, Coomera Anglican College approached 5thCorner with a vision to create a completely immersive space unlike any other in Australian schools. 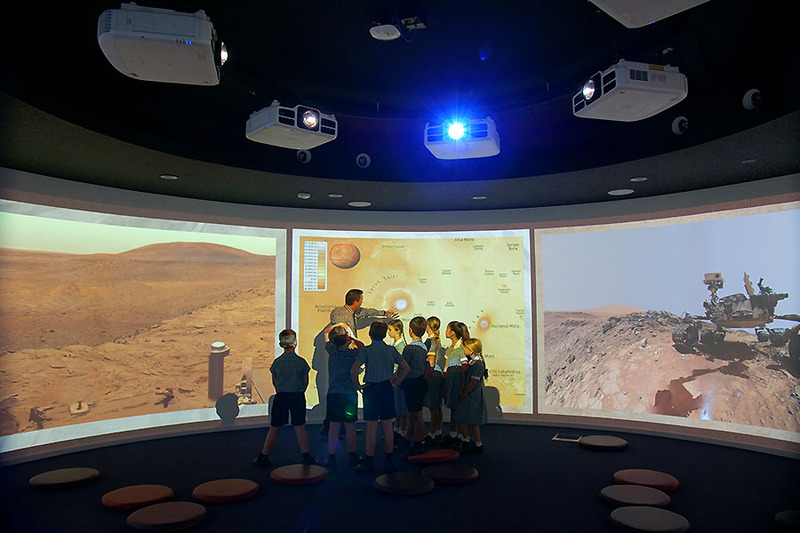 They needed a space that the children could become so engaged in the content being displayed that they were transported to anywhere on earth and even beyond. The result was The Pod, a small learning environment with a large motorised screen and projection system and the Imaginarium, a complete 360 degree immersive experience. 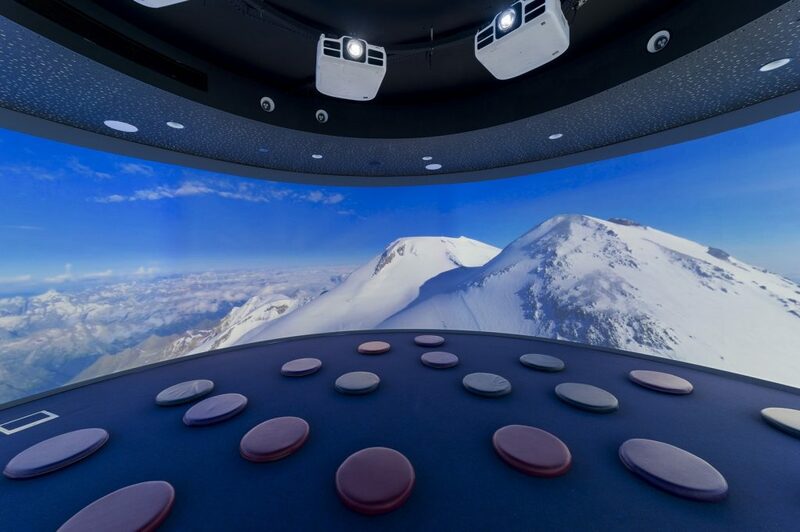 After consultation with Immersaview, one of the foremost experts in blending and warping technology, 5thCorner presented a system based on the blending of 6 Epson Projectors in a complete 360 Degree immersive space. With the Immersaview SimVisuals program as the basis for the blending and warping, the college was able to create custom content to wrap the entire 9m wide space with a single seamless image that completely transports the students to anywhere imaginable. Audio selection was carefully considered also and the resulting multi-channel audio system driven by the Crestron 7.1 Channel Surround Sound Processor proved to accompany the visual system of the room spectacularly. Complete control of the space needed to be intuitive as well as simple and for this reason, it was decided that the Crestron Control system with iPad control was the perfect solution. With total control of the space, including whether the room was to be used in complete immersive 360 degree projection or as a single projection system for smaller presentations, the Crestron system allowed the ultimate flexibility. 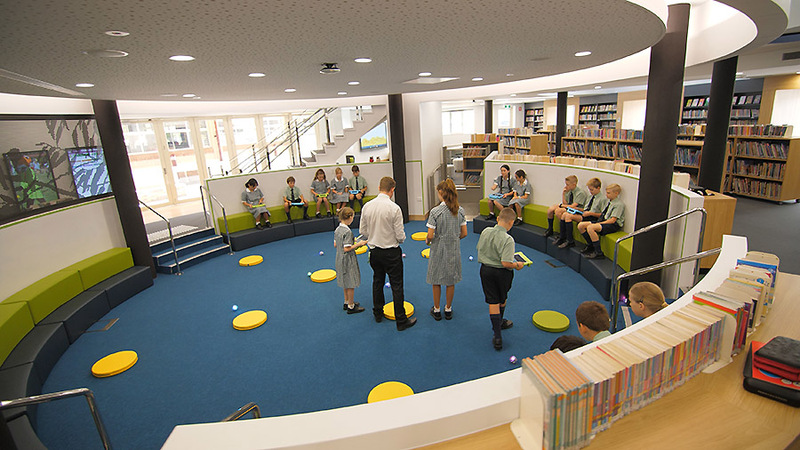 Lighting control, including the control of 15 RGBW LED’s allows the users of the space to not only create a learning environment through the audio and visual in the space, but through lighting the space also. 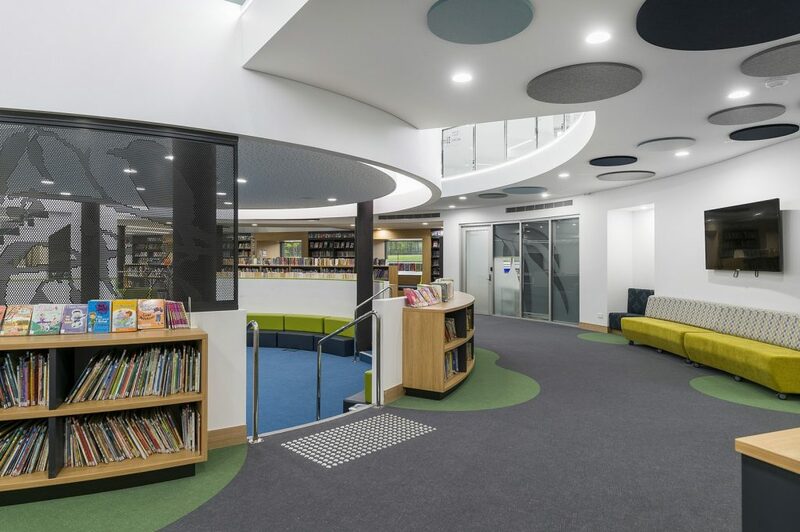 As this was the first time an installation of this type had been completed in any school in Australia, careful planning and consultation was needed between all parties. Whilst the installation of the hardware was relatively straight forward, the commissioning of the project however was extremely complex and with the assistance of the team at Immersaview, the end result was incredible. For a seamless experience in the Imaginarium, every projector had to be meticulously configured with every projector on the exact same angle, distance and settings. Once this was achieved, many hours were spent in using the SimVisuals software to manipulate the image to form a perfectly blended and warped image around the space. Like the commissioning process for the projection system, the audio system needed careful installation and commissioning. With the processors ability to have complete control over the audio in the space, it was imperative that the time was taken to create the perfect audio environment to support the visuals in the space. The challenge of a completely curved room meant that each of the B&W IN-Ceiling Speakers needed to be configured to be as directional as possible whilst maintain the virtual “front” of the space. As was the case with the projection system, the audio commissioning took several hours to ensure that the end result maintained the completely immersive experience the college was seeking. The College could not be happier with the result of the Imaginarium and the Pod and the international recognition of the space is clearly a testament to this incredible space.